Dvořák´s Sonata, subtle Nocture and above all the Slavonic Dances edited for violin and piano by the legendary violin virtuoso Fritz Kreisler. 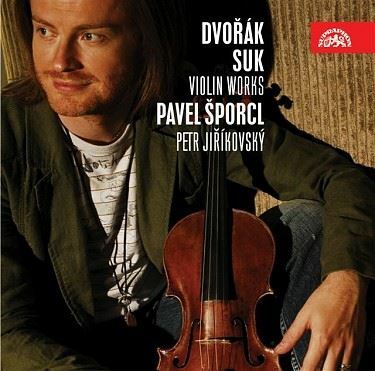 This compilation also contains a composition by young Josef Suk, Four Pieces for Violin and Piano, Op. 17. I am accompanied by pianist Petr Jiříkovský.